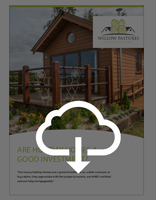 Investing in a holiday home is a big decision and is usually a large financial commitment. Shortlist your favorite parks then compare them on these key points before you choose. Download our guide to read more details on each of these points!